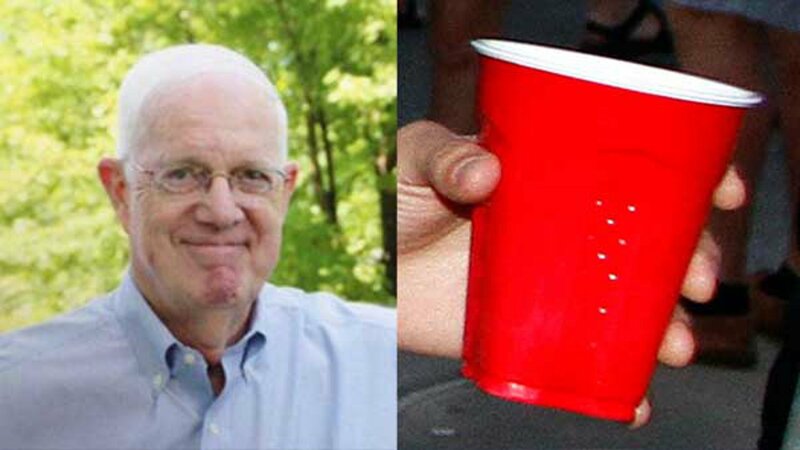 CHICAGO (WLS) -- The creator of the Red Solo Cup has died. Robert Leo Hulseman, 84, of Northfield, Ill., was surrounded by family when he died on Dec. 21. Hulseman, 84, is being remembered as an innovator, a philanthropist and a gentleman. He started working at the Solo Cup factory when he was 18. His father started the business in in 1936. Made of thick, molded polystyrene, they are perfect. You can drop them, stack them, dispose of them. And they are cheap. And of course, being red, they hide what it is you're drinking exactly. "I've tested this over and over. Consumers prefer red, and it's not very close," a company executive told Slate in 2011. "I think for one thing it's a neutral color that's appealing to both men and women." The red cups weren't the only drink-related item Hulseman dreamed up during his life. He's also the creator of the Solo Traveler coffee cup lids. The father of ten and grandfather of nearly 30 was married to his wife, Sheila Murphy Hulseman, for 60 years. They met when they were students at Marquette University and were awarded honorary doctorates in Catholic Theological Union for their commitment to leadership and service. Hulseman's friends and family said he will be remembered as a "gentleman who demonstrated class at all turns" - including those on the dance floor - his deep spirituality and for his witty sense of humor. The next time you're at a party and find yourself holding a red Solo cup, pour a bit of your drink out for Hulseman. There's no better way to honor the memory of the man who helped make the good times possible.